The US$450-million system is much faster than the Asia America Gateway, which the country has relied on over the past years. Internet users in Vietnam should expect faster speed soon as a new undersea cable connecting the country with neighbors in the Asia-Pacific region has been completed. 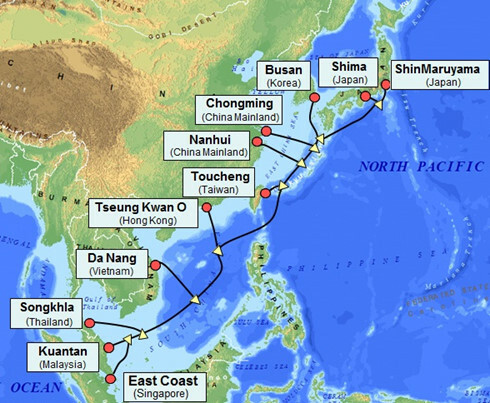 NEC, a Japanese IT corporation, last week announced that it has finished construction of the Asia Pacific Gateway Submarine Cable linking Japan with Hong Kong, Mainland China, Malaysia, Singapore, South Korea, Taiwan, Thailand and Vietnam. The cable, with a total length of around 10,900 kilometers, will go through Vietnam’s central city of Da Nang. It features 100 Gigabit per second (Gbps) optical transmission capabilities that deliver a capacity of more than 54 Tbps, which is much faster than the 2.88 Tbps speed of the Asia America Gateway (AAG), the notorious rupture-prone system that connects Vietnam and the US. Vietnam’s two biggest telecom companies Viettel and the Vietnam Post and Telecommunications Group are among the 13 investors of the new cable. 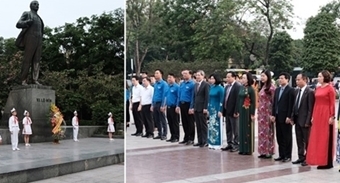 The military-run Viettel, which funded more than half of the $450-million cable, has also invested in another 25,000-kilometer cable connecting Vietnam with Europe. The Asia Africa Euro 1 is scheduled to go into operation this year too. Vietnamese service providers have been trying to ease their reliance on the AAG. The 20,000-kilometer system, installed in 2009, has broken or been shut down for maintenance many times since 2011. In 2015, the cable ruptured three times while in 2014, it went down twice. This year local users also bemoaned slow connection to international services when the cable broke down in August and then went through a maintenance period in September. Nearly 49 million people, more than half of Vietnam’s population of 90 million, are online.